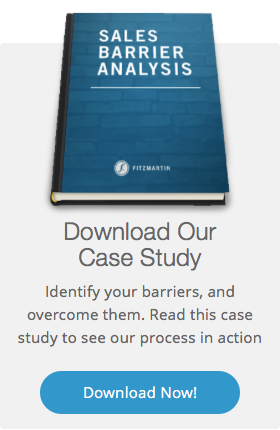 FitzMartin has been advocating a model of building all webpages to serve as an entry point to a site for years! Search forces this to be considered. Many of our clients in the professional services field have prospects who are searching for a name so a bio page, not a homepage, is the best place to start. But that in turn begs the question. Is a sub page prepared to do the lifting of a homepage? It might be the only page a visitor ever sees! After stumbling upon an Inc. article, “Say Goodbye to Your Company Homepage”, I was at first in shock, but then at the same time not surprised. 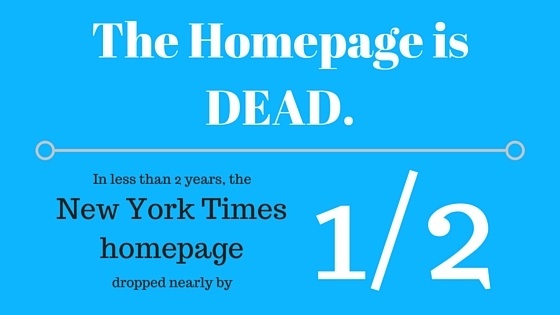 In the article the author, John Brandon, discusses the reasoning behind the idea that the homepage is dead, outdated and on the verge of possibly becoming extinct. My typical view of the homepage is that it is a necessary piece of the website puzzle and is the center focus for every website. However, after reading John’s article I am reminded how the website world as we know it could easily adopt this new idea of eliminating the homepage. Why is the homepage endangered? Well first off, many businesses don’t need individuals to go to the company’s homepage, but rather desire visits to specific pages leading customers to learn about specific products and services, and maybe even purchasing it right there. 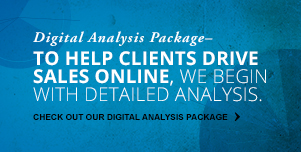 We call these landing pages and on average, landing pages generate a 5-15% conversion rate. Visitors to the site want the same thing, to find exactly what they are looking for in as little effort as possible. With this in mind, the homepage becomes a burdensome, additional step, unnecessary to reach the end goal. A New York Times report shows that in less than two years, visits to the nytimes.com homepage dropped nearly by half, with only a third of readers ever visiting it. Second, a homepage used to give a company credibility to be seen as a legitimate source for a product or service. Now, while a homepage is expected, prospects often view a company with a robust social media presence as a more reliable indicator of the company’s credibility. Almost 63% of consumers indicate they’re more likely to purchase from a site if it has product ratings and reviews. Social media provides just that, allowing prospects and customers to view comments from other customers, as well as interact with the company, ultimately building trust towards the company. Third, search engines have become standard practice for many web users, with 86% of consumers stating that using a search engine allowed them to learn something new or important that helped him/her increase his/her knowledge. Search engines allow users to search for exactly what they want and find results that direct them to precisely what they sought to find. Thus, the site visitor often does not see the homepage, nor does the visitor care if they view the homepage. The homepage may be dying, but it’s not completely dead yet. And only time will tell if it will. Unfortunately, I have a feeling that homepage will die a slow and painful death as companies slowly grasp the idea that its time has come to leave us.